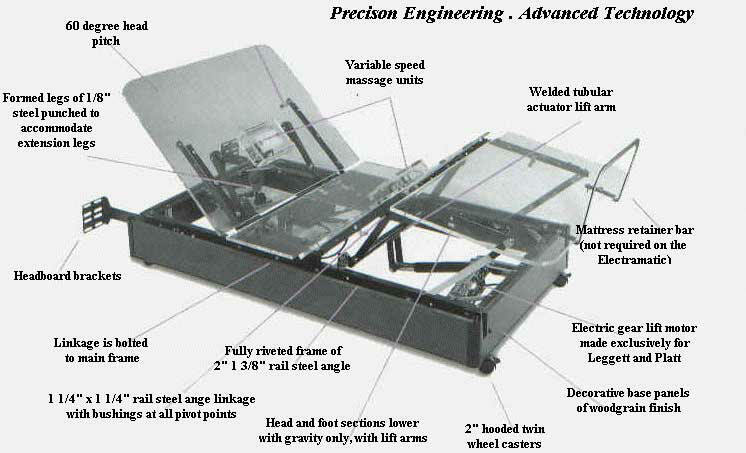 Precision engineering and advanced technology offers a great night's sleep.. yet offers so much more! Unlimited variable positions of the head and foot sections offer ideal positions for many activities such as reading, watching television, medical related issues or just plain relaxing! 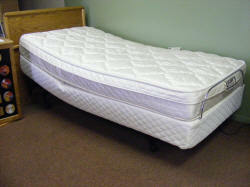 The S-Cape™ "Wall Hugger" by Leggett and Platt, is a completely adjustable sleep system. Encased Body Massage Motors ......Two variable speed body massage motors for tired muscles and increased circulation. Motors are maintenance free and encased for noise reduction. Wireless Hand Wand Features 3 Preset Comfort Positions. Lighted hand wand is for enhanced nighttime viewing. 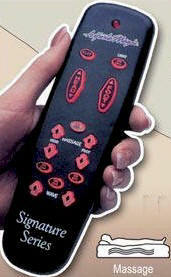 Raised rubber buttons offer and easy operation. Just one touch delivers any of three body comfort positions. Superior Wall-Hugger™ Action! Enhanced wall hugging action keeps you close to your night stand as you adjust your position. 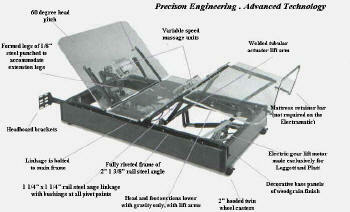 Power Reserve® This remote battery module allows the bed to be lowered in the event of power failure.